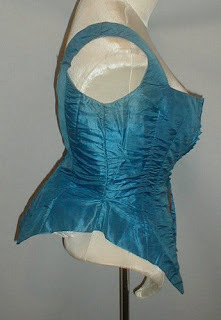 A flattering 1860’s Civil War era blue silk evening bodice. 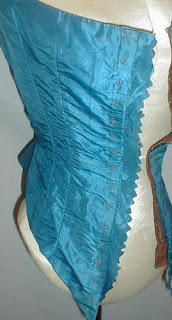 The bodice has a front hook and eye closure and also holes for front lacing. The original lacing is missing. The bodice is lined with cotton. It is in good condition. There is some slight underarm discoloration and a ½ inch surface only split on the back of the bodice. 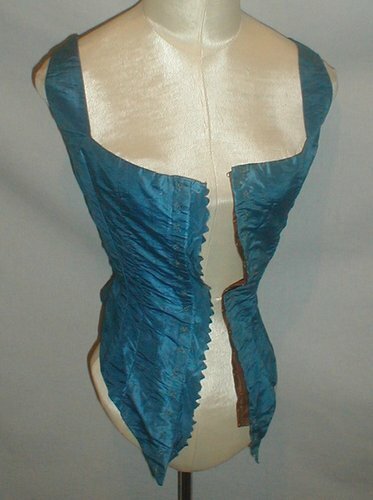 Bust 32 Waist 20. 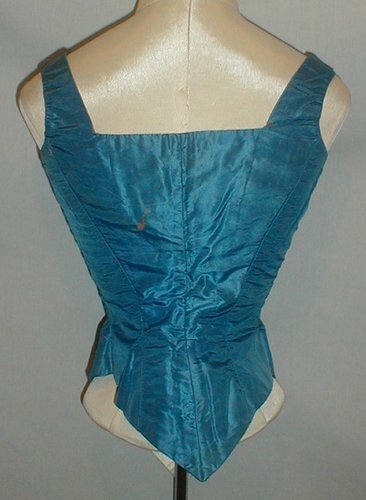 The way the front has those little sawtooth designs and the way the back is "bustled" out, I think this is 1870's. If it was 1860's, I would expect either a higher waist or more fullness to the sides.